General Motors is launching a comprehensive review of how it spends billions in advertising dollars around the world. GM said it currently uses more than 20 media buying companies globally and that the review doesn't include creative agencies. Among the companies that have GM media duties are: Starcom, which handles media buying and planning duties for GM in the U.S. since 2005; Carat handles GM in Europe; the majority of the Latin American business is run by Universal McCann; India and China are not included in the review. 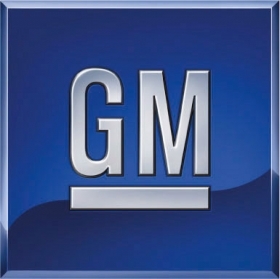 "As part of its normal review of business processes, General Motors will request proposals on ways to improve the efficiency and effectiveness of its global operations for purchased media," GM said in a statement released Tuesday. "The request for proposal (RFP) will be issued to several global media companies and will include all consumer-facing planning and buying operations in support of all media channels including print, digital, broadcast, SEO and social media." The review is believed to only apply to paid media, according to Advertising Age, an affiliate of Automotive News Europe. "We're looking for an innovative model that helps us become more effective in leveraging global marketing opportunities more efficiently," Joel Ewanick, GM's global chief marketing officer, said in the statement. "We will make a comprehensive assessment of all options before reaching a decision and in fact, may end up validating our current approach." In its March 2011 annual report, GM reported worldwide advertising costs of $4.26 billion in calendar 2010. In 2009, it spent $3.37 billion on global media, according to Ad Age Dataceter estimates. While that $4.259 billion figure also represents creative work, the bulk of it is media spending. GM spent about 67 percent of its 2010 worldwide advertising and sales promotion money in North America, according to the annual report. The media review follows a period of dramatic shifts in GM advertising since the company emerged from bankruptcy in 2009. Last year, GM moved Chevrolet to Omnicom Group's Goodby, Silverstein & Partners and awarded Cadillac to Publicis Groupe's Fallon. The Goodby Silverstein win put Omnicom Group squarely onto the roster of GM, which long had concentrated its advertising work among agencies owned by Publicis and Interpublic Group of Cos.